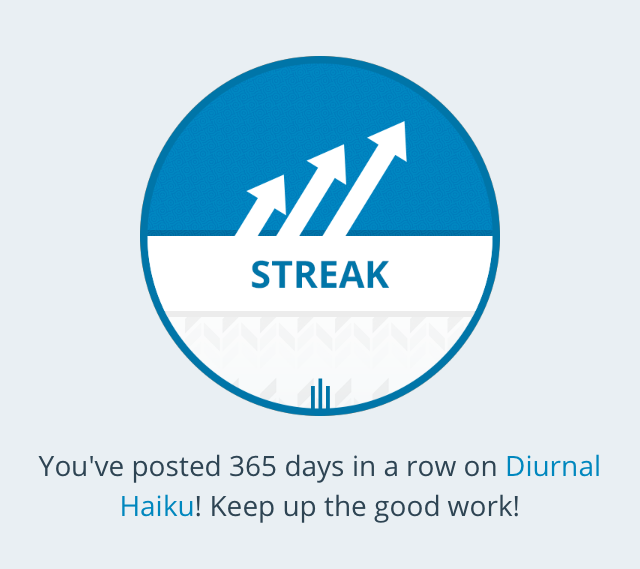 A year ago I started a project to write a haiku every day. These 366 haiku can be found on diurnalhaiku.wordpress.com. The haiku act as a mini diary. I can remember where I was when I wrote many of them, and what inspired them.